There isn’t much detail on the public record about the agreements that govern the presence of US forces in Australia, but it seems that under the Force Posture Agreement, the presence of these forces is subject to bilateral consultation conducted ‘in accordance with Australia’s policy of Full Knowledge and Concurrence’. This policy was conceived to ensure that Australia knows everything happening at places like Pine Gap. Former Defence Minister Stephen Smith described Full Knowledge and Concurrence as ‘an expression of sovereignty, of Australia’s fundamental right to know what activities foreign Governments conduct in, through or from Australian territory’. Interestingly, Smith stated that ‘Concurrence means Australia approves the presence of a capability or function in Australia in support of its mutually agreed goals. Concurrence does not mean that Australia approves every activity or tasking undertaken’. Now that this policy is being used to cover not just intelligence-gathering but military operations that might be launched from Australian territory, this careful definition of ‘concurrence’ will become problematic. The recent controversy over Pentagon official David Shear’s comments (quickly retracted) that the US was about to place B-1 strategic bombers on Australian soil, and that the US might use these aircraft in shows of force in the disputed South China Sea, illustrates the potency of the issue. Much of Australia’s future usefulness as an American ally will depend on what real estate we provide and what conditions are attached. It will be impossible to claim that Canberra’s concurrence to a US operation does not constitute approval. 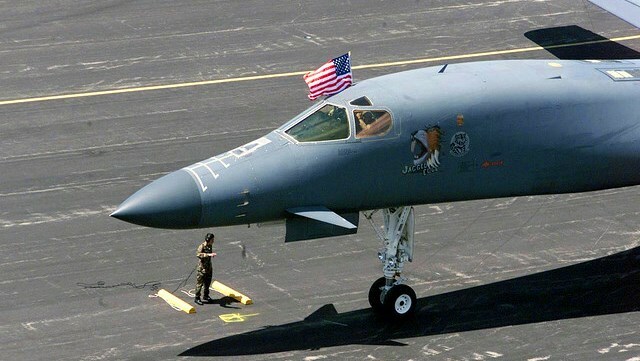 In the future, if B-1 bombers are stationed in Australia, and if they conduct freedom of navigation exercises over the South China Sea, then this will occur only because Australia has concurred in US forces using Australian bases for that purpose. It could be said, just as accurately, that the operation occurred only because Australia chose to not veto it. In such circumstances, it will be harder to say that the alliance is ‘not directed at any one country’. Because US forces could only operate from Australian soil with our concurrence, we would essentially be enabling the operation. Our alliance is not ‘directed against China’, as some have claimed, but if such an operation were to occur it would definitely be directed against Chinese activities. Would the finer points of this distinction matter to the leadership in Beijing? It is not clear where the real point of decision lies — whether it is in allowing the US to station B-1 bombers in Australia, or whether an additional green light (ie. specific approval for US aircraft to conduct freedom of navigation operations over the South China Sea) would be required. One agreement could cover both the deployment and operation of USAF aircraft, or separate agreements could be negotiated. As this recent report suggests, when David Shear misspoke earlier this month, it’s possible he was talking about some form of agreement nearing completion. Given that Australian politicians have explained how Full Knowledge and Concurrence works for the intelligence facilities, perhaps they could also explain how this policy applies to the military forces that are already here, and those yet to arrive. None of this is to argue for or against Australia supporting American actions in the South China Sea. But the factors assessed above are critically important to how the alliance will operate in the future. It’s hard to be sure with so little information publicly available, but it seems that whether B-1s are ‘based’, ‘stationed’ or ‘deployed’ to Australia is less important than what missions Canberra chooses to approve (or veto). If America ever wants to use Australian bases in an effort to enforce red lines in the South China Sea, they’ll expect a green light from Canberra. No matter what traffic signal we choose, there will be consequences. Photo by Flickr user AereiMilitari.org. This post first appeared at “The Interpreter“, a blog run by the Lowy Institute for International Policy. The Road to Tokyo, via Washington D.C. Recently, commentators have argued that Australia should seek closer defence ties with Japan. In his AFR column, Peter Jennings suggested that to consider China’s reaction to such ties would be to ‘let China think their disapproval can veto our foreign policy aims’. Paul Kelly adopts a similar tone in The Australian, suggesting that critics of deeper ties are ‘radicals…[who] seem to want a fundamental shift in our foreign policy…aspiring to a realignment towards China’. Both authors present a false dilemma which disparages those concerned about Australia’s creep toward a strategic alignment with Japan. Despite their suggestions, it’s possible to condone limited defence cooperation with Japan and also be cautious about risks posed by ever-deepening ties. First, consider just how quickly tensions between Beijing and Tokyo have intensified. After Japan nationalised the Senkaku/Diaoyu islands in September 2012, Chinese military planes began flying directly towards them. In December 2012, a Chinese aircraft breached Japanese airspace and took photos of the islands. In January 2013, a Chinese frigate activated its fire-control radar on a Japanese vessel—the naval equivalent of pointing a pistol at someone. In November 2013, China announced an Air Defence Identification Zone, essentially claiming sovereignty of the airspace over the disputed islands. Recently, there were reports of Chinese planes flying dangerously close to Japanese aircraft (as close as 30 metres in one case). If that trend continues, a violent confrontation seems a question of when, not if. The most salient issue in this discussion is the strength of the US–Japan alliance, and on this subject there should be no foregone conclusions. If this alliance remains healthy, and if China’s aggression toward its neighbours doesn’t increase, then closer ties between Australia and Japan aren’t needed. Let’s agree to build submarines together, but keep it at that. The US can use its alliance to influence and support Japan, and we can avoid needlessly antagonising China. 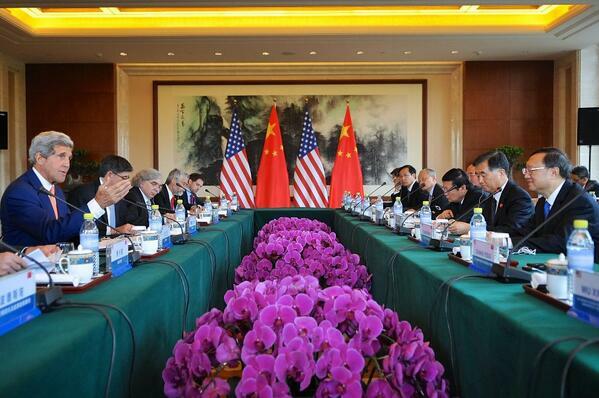 But America’s reluctance to confront China raises questions about its regional security role. The US talks about its national interest in preventing unilateral changes to the status quo, but it has done little to prevent such changes in Asia. China still controls the Scarborough Shoal (which it seized from the Philippines in 2012), and its recent decision to station an oil-rig in Vietnamese waters attracted only verbal condemnation. Yes, the US challenged the ADIZ and has flown intelligence aircraft over the oil-rig and the Scarborough Shoal, but those are pretty low-risk moves. The US hasn’t yet devised a low-risk strategy to counter China’s more direct aggression, which explains why Beijing may see the ‘Scarborough model’ as a template for further revanchist behaviour. President Obama has stated that America’s alliance with Japan would apply in a Senkaku Island scenario but, as with any alliance, there’s some uncertainty about whether—and how—that commitment would actually be fulfilled. The US and Japan don’t see eye-to-eye on every issue. The US has previously tried—unsuccessfully—to dissuade Prime Minister Abe from particular actions, such as the nationalisation of the Senkaku Islands and visits to the Yasukuni Shrine, that Beijing perceived as provocative. It’s quite possible that the US, wanting to avoid conflict with China, might provide only logistical support to Japan in a conflict over the Senkaku Islands. In America’s current Asia strategy, it seems the protection of the US–China relationship is a higher priority than the protection of the international order and status quo. As Secretary of State Kerry said, ‘there is no U.S. strategy to try to push back against or be in conflict with China’—hardly a reassuring talking point for US allies facing an aggressive China. If the US decided not to fight alongside Japan over the Senkakus, there’s little doubt that Australia would also sit on the sidelines. Australia’s defence relationship with Japan should be guided not by a sense of democratic affinity or disdain for China’s repressive political system, but by our national interest. Some might argue that if US allies stick together, then the US will be more inclined to support them. That’s possible. Alternatively, the US might decide that regional countries can balance China without direct US assistance. That’s true for Europe and Russia, but not for Asia and China. But given America’s current war-weariness and a growing resentment of ‘free-riding’ allies, the possibility can’t be discounted. Under different circumstances, I’d support a closer relationship between Australia and Japan. If Chinese aggression continues to escalate, and if America fully commits to using diplomatic and military means to coerce China into accepting an international society governed by rules and laws, then even a military alliance between Australia and Japan might be wise. But under current conditions, and without greater demonstration of American commitment, there’s no compelling reason for the development of even closer defence ties with Japan. My friend and colleague Harry White recently wrote about the US-Japan alliance and the Senkaku Islands. I’ve recently replied with some thoughts of my own. For those thinking about alliance issues such as these, I’d highly recommend Alliance Politics by Glenn H. Snyder. For those really keen on expanding their intellectual horizons, Conflict Among Nations by Snyder and Diesing is also worth a read.